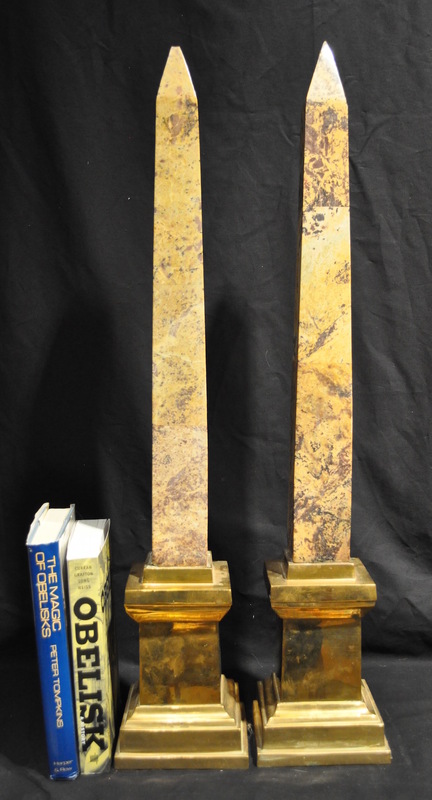 Tall, very smart vintage pair of specimen marble obelisks on handsome brass plinths. The marbles are interesting shades of ocher browns stacked in three sections. Each stand 31 1/2 inches tall. 31 1/2 inches total height, stone obelisk section 23 inches tall, and brass base 8 1/2 inches tall. Base is 5 3/4 inches square.